"Sanaya is a great natural pain relief cream with no side effects on the kidneys, which is very important to me. My patients have tried it and continue to ask for it regularly"
Dr. Daniel Buentello - R.N., D.C.
"I have tried SANAYA on my patients and have seen wonderful results. This cream is all natural and organic and the aroma is soothing. I will continue using this product for my patients"
Dr. Gustavo Buentello - M.D. "SANAYA is great for pain relief because of its powerful essential oils which contain anti-inflamatory properites. I highly recommend SANAYA for temporary topical pain relief." Dr. Alejandro T. Martinez D.C. I was introduced to Sanaya, and gave samples to my patients, and received positive feed back. "I decided to carry this product in my practice for pain management." Dr. Agustin Martinez - M.D., F.A.C.O.G. "I have personally tried SANAYA and love the pleasant aroma. I would gladly recommend it for topical temporary muscle pain relief." Essential Oil Based Pain Therapy is the Key! Originates from Italy. Ideally suited to help calm inflamed skin and has antiseptic properties. Originates from Egypt. A potent anti-inflammatory which promotes the healing of burns, rashes, joint pain, and inflammation. It's therapeutic aroma is calming to the skin and mind. Originates from the USA. 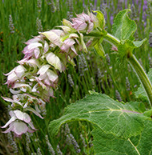 Boasts many health benefits such as, anti-depressant, anti-convulsive, anti-spasmodic, as well as antiseptic properties. 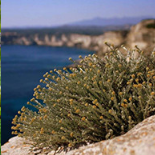 Originates from Corsica. 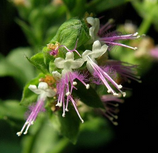 An important oil in the skin care for wound healing, bruising, scarring, acne and a multitude of skin irritations. Excellent anti-inflammatory for joint pain. Originates from Australia. 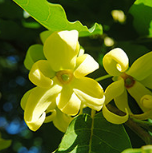 The oil of this tree is thought to have anti-bacterial and wound healing properties. 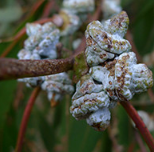 For hundreds of years, the Aborigines of Australia have used Eucalyptus leaves for their disinfectant value. Originates from France. Can be used for a broad array of ailments, the pain of burns and insect bites, reduces nervous tension, infections and headaches. Originates from Dominican Republic. Excellent for energizing and revitalizing. 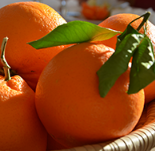 Its wonderful citrus aroma will uplift your mood. Originates from Sri Lanka. Refreshing and calming scent and has a wide application for Aromatherapy. Originates from Madagascar. 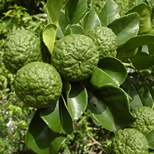 Strengthens the nervous system and repairs any damage it may have suffered. Fungal Infections, Athlete's Foot and more. Originates from Morocco. Has a relaxing effect on the brain, which helps relieve stress and improve concentration. Originates from France. Naturally boosts energy levels and helps you stay alert. 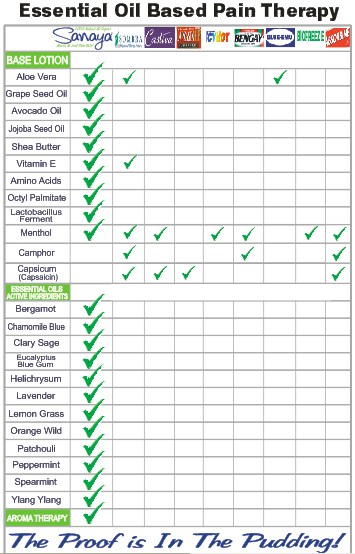 Sanaya's patented formula contains 12 Organic Essential Oils... from 10 different countries around the World! travels (very quickly) from the site of an injury to your brain to shout, "That HURTS!" A pin prick will release a small amount, a hammer-blow to the thumb a greater amount, and a broken leg an even larger amount. The Solution- A proven and effective way to reduce Substance P, is from naturally derived essential oils that contain anti-inflammatory properties. We call this essential oil based pain therapy. 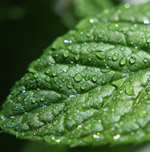 According to research, when applied topically, the essential oils found in our cream penetrate the 7 layers of skin and actually reduces the presence of Substance P in the body, by temporarily reducing the inflammation of the nerves that produce it, thereby causing temporary pain relief while increasing mobility. Sanaya- contains only 0.9% (less than 1 percent) menthol. Our research has concluded that this is a safe level because it doesn't significantly mask pain which can lead to greater injury and/or increased levels of Substance P. There are many topical lotions that contain up to 10% Menthol and some contain even highly levels. We recommend that, if you engage in physical activity, you should be very cautious about using a topical pain relief product that has a menthol level greater than one percent (1.0%) for reasons given. The Problem- Prescription and Over-the-counter medications merely block the pain receptors resulting in increased levels of Substance P, which causes one to feel increased levels of pain when the medication wears off causing individuals to increase their level of consumption. To make matters worse, the human body cannot reduce the Substance P on its own, so the longer you have pain, the more pills you take, the more Substance P builds up. The Concern- when applied topically other OTC pain relieving products contain high levels of menthol, camphor and capsaicin which burn and irritates the skin. The concept that the makers of these burning products promote is "if it isn't burning, it isn't working" which is simply NOT TRUE. Sanaya uses essential oils that contain high levels of anti-inflammatory properties. Furthermore, Sanaya contains a fresh, Aromatherapy scent that relaxes the mind and body. Copyright © 2015 sanayanaturalpainrelief.com, Inc.. All Rights Reserved.